Coronado Brewing Co. teamed with Manhattan Beer Distributors (MBD) to extend the brewer’s portfolio throughout the state of New York beginning August 19. “We interviewed many wholesalers when determining who to entrust our beer to within MBD’s 14-county footprint,” said Coronado Brewing President Rick Chapman. “After much research on the market and potential distribution partners, it was clear Manhattan Beer Distributors was, far and away, the best option for us”. Coronado Brewing also recently inked a deal with Marine View Beverage (MVB) to distribute its beers in parts of Washington State where the company’s brews are not currently distributed. MVB will distribute to Washington counties adjacent to those serviced by Odom Corp. Wholesale Beverage Distributors, helping Coronado Brewing reach more residents in the Evergreen State. With the aforementioned additions, Coronado Brewing beers are now distributed in 13 states and six countries. The company is currently in the process of securing distribution in numerous other foreign and domestic regions with a defined focus on Colorado and Texas as well as currently unreached portions of Northwestern states including Alaska, Idaho, Oregon and Washington. Coming aboard to enhance Coronado’s ability to get that increased amount of beer to current and future markets is newly hired National Sales Director Brandon Richards. Richards joins the brewery after nine years spent working in sales and marketing capacities for Craft Brewers Alliance, most recently as its Southwest Regional Field Marketing Manager. “Coronado Brewing Company is psyched about Brandon coming onboard as he brings a wealth of knowledge and structure to our sales team,” Chapman said. Installation of a second 20,000-sq-ft brewing facility in the City of San Diego’s Tecolote Canyon area in 2012 helped the company close the year having produced 8,000 barrels (bbls) of beer. 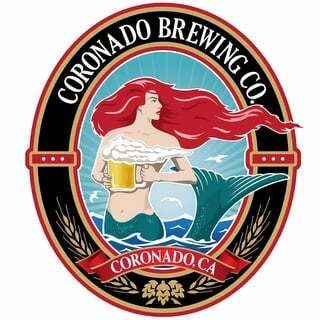 In 2013, Coronado Brewing is on pace to produce more than 16,000 bbls. The addition of Richards, MBD and MVB will be integral to ensuring the company’s beer reaches its customers across the country and gets there as fresh as possible.